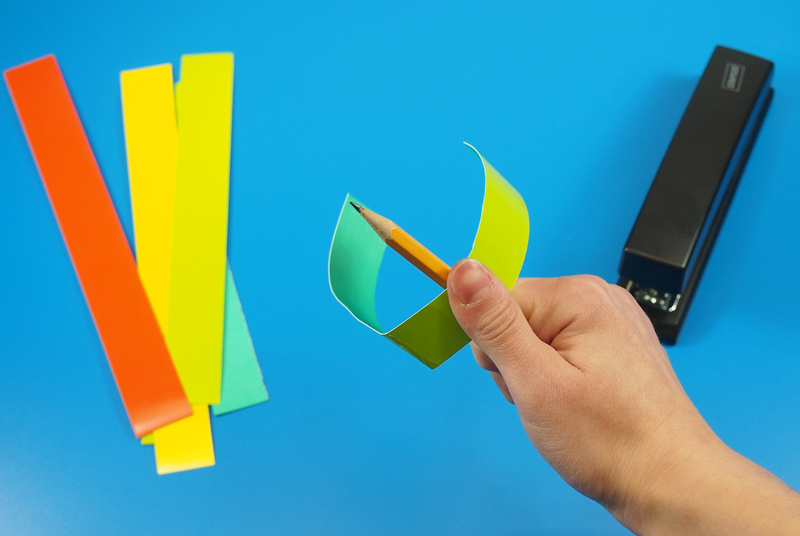 Make your own lucky charm just in time for St. Patrick’s Day! 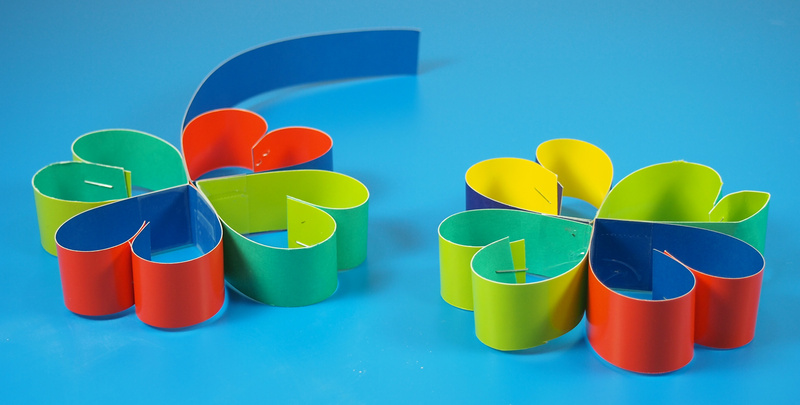 Learning Objectives: Learn basic cut and fold techniques. 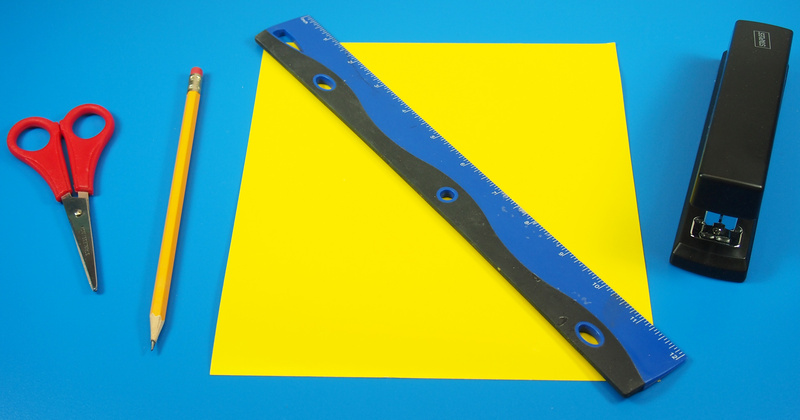 Use ruler to measure a certain width for each strip in the lucky charm. Talk about the history of Saint Patrick’s Day. Learn about color combinations through unique Double Color Card sheets! 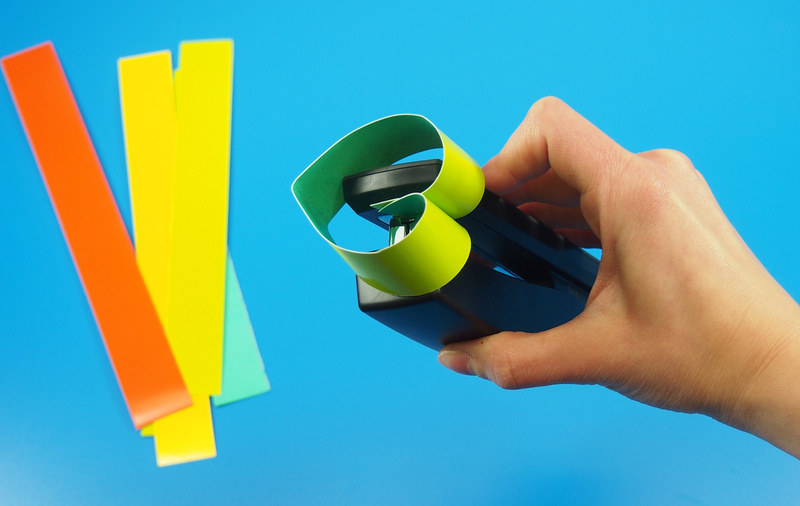 Select your sheet of Double Color cardstock. 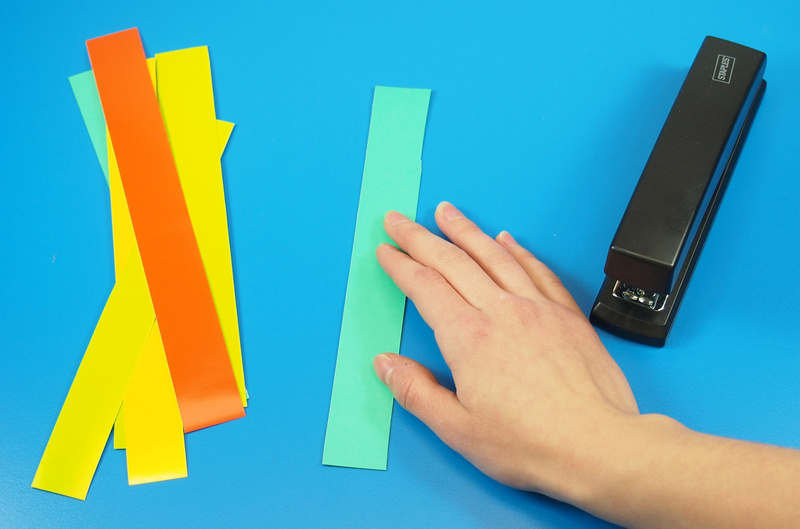 You will first need to make a set of card strips. 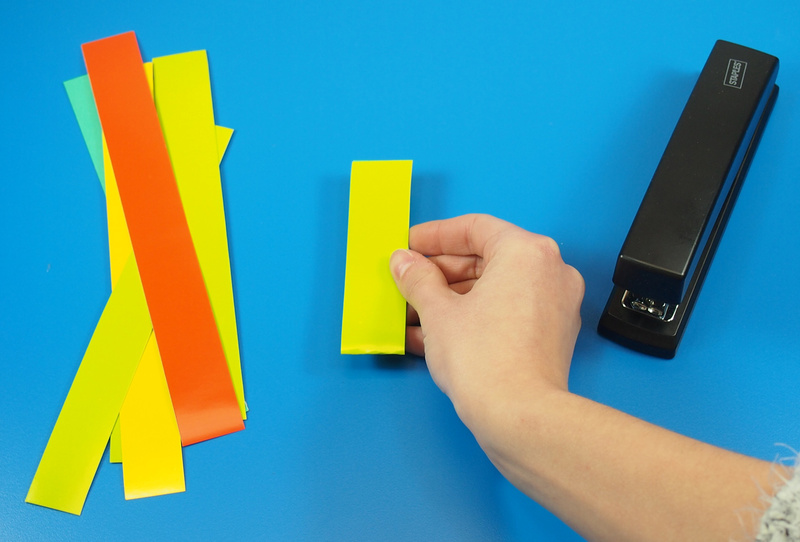 Start by measuring 1″ (2.5 cm) away from the edge of the Double Color Card Sheet. You can choose either side of the Double Color Card to determine the length of each strip (the cards are 8 x 9″ or 20 x 23 cm). Make a mark at the inch point at the bottom of the sheet. 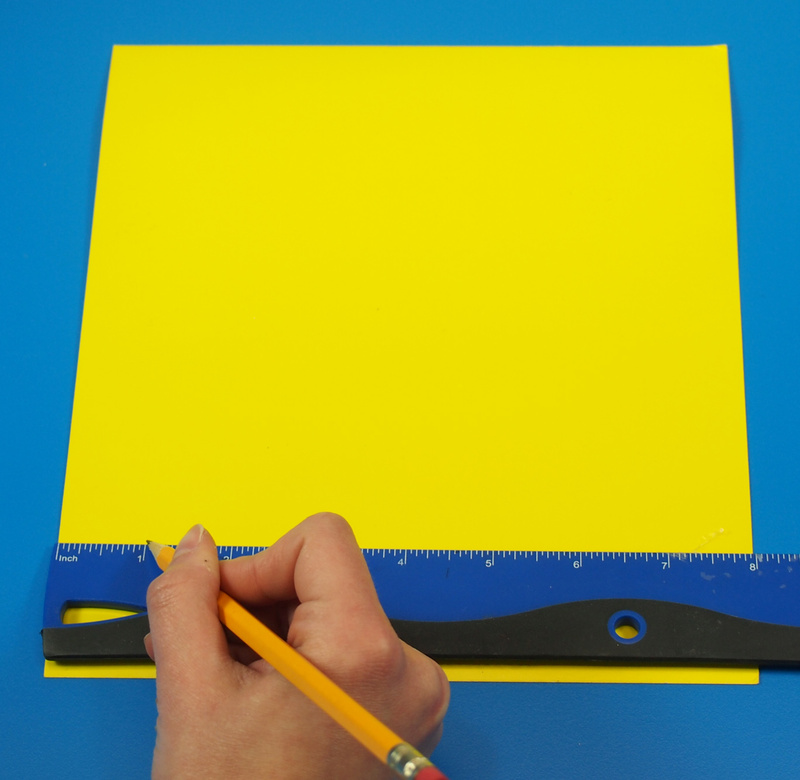 Move the ruler to the top of the sheet and mark another point. Use the points to draw a straight line from top to bottom. 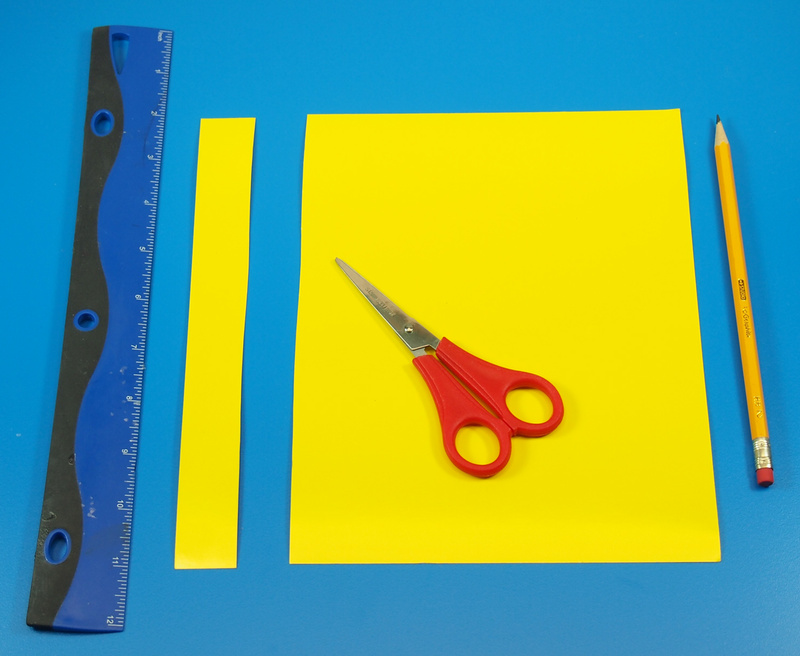 Follow the line with a pair of scissors to cut out the first strip! Repeat the previous steps three more times. You can see that I’ve cut out a bunch of different colors! I want to make my four leaf clover as exciting as possible. Fold a strip of paper in half. To form the curve of the clover leaves, use a pencil to curl the insides starting from the point upwards. Overlap the two ends of the curves together to form a heart shape. 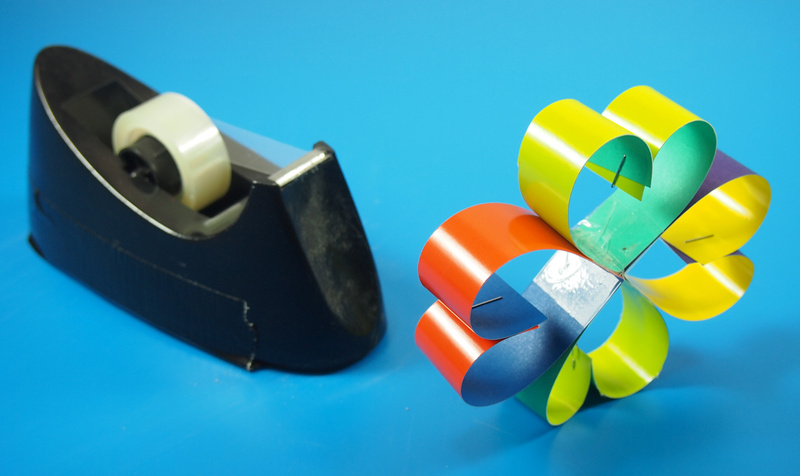 Secure the two sides together with a stapler or use tape. The double color feature of the heart looks beautiful just as is! You could make plenty of hearts like these to decorate for Valentine’s Day! In fact, we’ve used a variation of this craft to make our Heart Wreath… go check it out at this link! 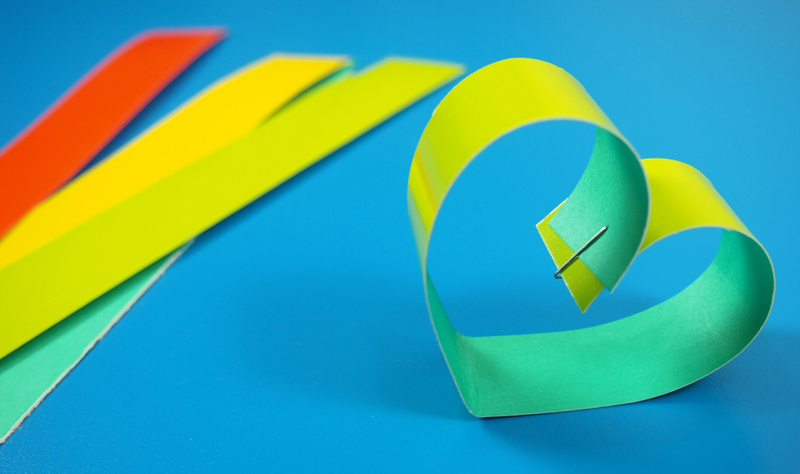 Repeat the same steps to turn the rest of the paper strips into mini hearts! 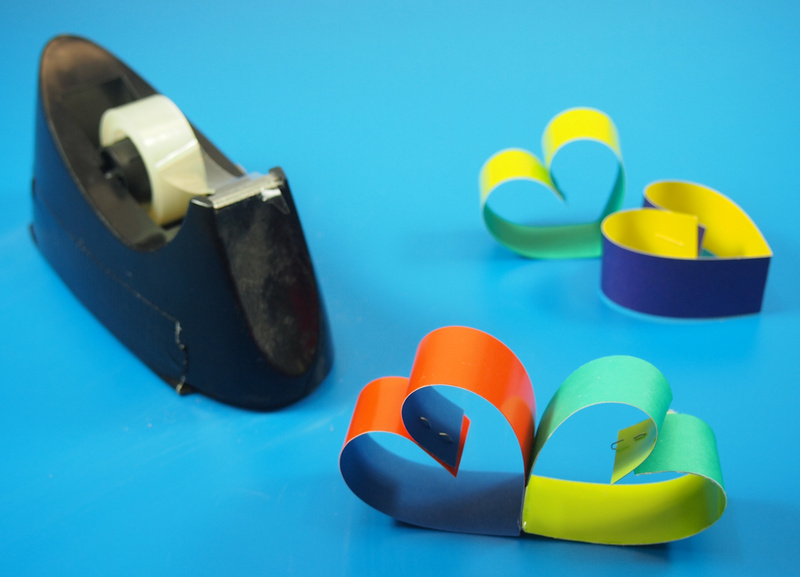 Join two of the hearts together at the sides with some tape. Add a third heart to one side of the duo. Use tape to secure. Finish off with the last heart. Secure with tape on both sides. Make as many as you like! 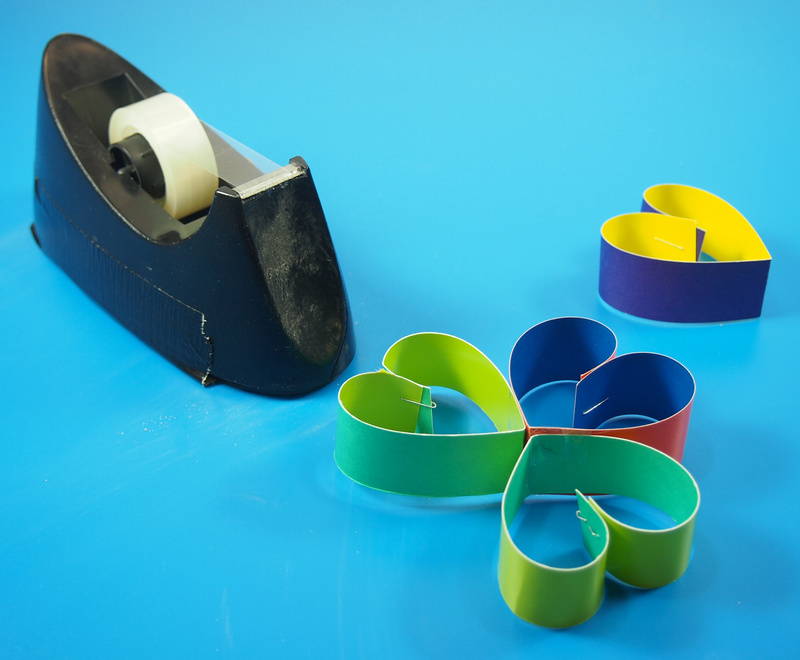 Attach together to make garlands. Or hang them from the ceiling to decorate your classroom! Alternatively, hang the four leaf clovers from push pins on your cork board and make a Saint Patrick’s Day display! This entry was posted in Uncategorized and tagged green crafts, holiday garland, ireland crafts, kids crafts, leprechaun crafts, lucky charm crafts, lucky charms, saint patrick's day crafts, st paddy's day, st patricks day crafts by roylcoblog. Bookmark the permalink. What a great idea! I could see using this with lots of different ages!